Here at jebiga, we love to show you all sorts of exotic and interesting destinations, environmentally friendly living arrangements and one of a kind retreats. Today, we made a list of 7 green hotels as featured on Design Hotels to visit this year. We just might give you an idea on where to go next or simply make you enjoy reading about these beautiful, relaxing eco hotels. 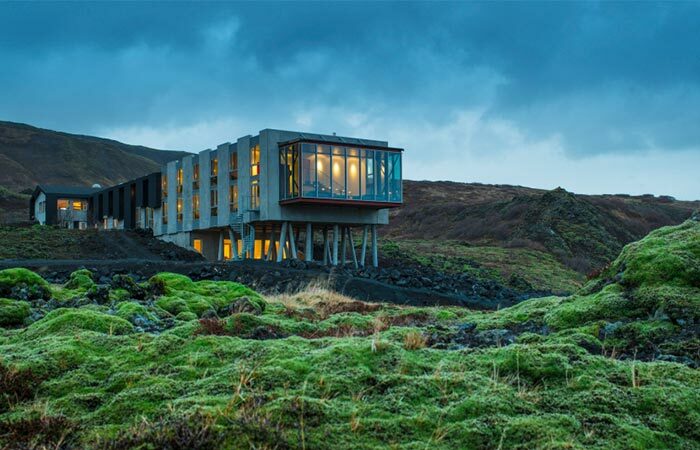 Ion Adventure Hotel is located only an hour away from Iceland’s capital, on a place where an abandoned inn used to be. It is surrounded by Iceland’s natural landscapes, just nearby the volcanic Mount Hengill. You can find 21 standard rooms and 24 deluxe rooms, all decorated in an Icelandic style. Each one has huge floor-to-ceiling windows that offer fantastic views. The brutalist architecture is combined with sustainable materials all the way from fairtrade organic linens to wooden flooring. The hotel also uses a prefabricated panelized building system, water-saving shower systems, and recycled furniture. 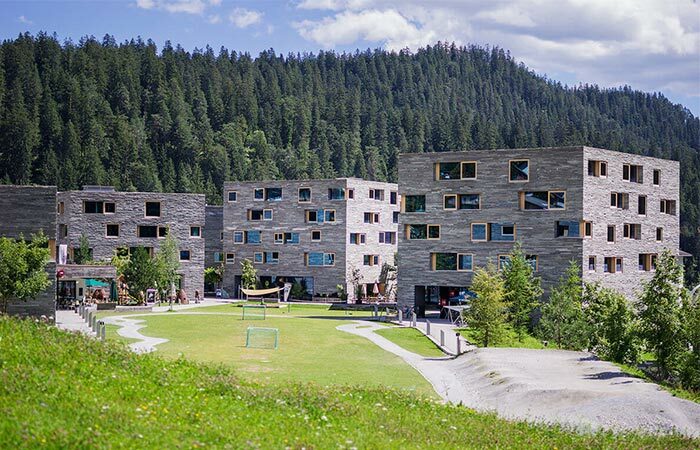 Located in Laax, Switzerland, Rocksresort is a self-contained complex that got its name from the surrounding landscape. The exterior is minimalistic and cube-shaped. There are several buildings, all arranged around a central square. Rockresort was constructed using natural materials from the local region. As for accommodation, you can find everything from two-bedroom suites to ten-bed apartments. This green hotel runs on sustainable energy and the mountain is entirely powered by hydroelectricity, making it the most sustainable ski resort in the world. The “green” mindset is also present in the surrounding restaurants where food is sourced locally and the focus is on seasonal dishes. Hidden in the gardens of rural Cambodia, Phum Baitang is a complex of 45 spacious wooden villas. It was constructed in a traditional manner and designed to offer ultimate relaxation. 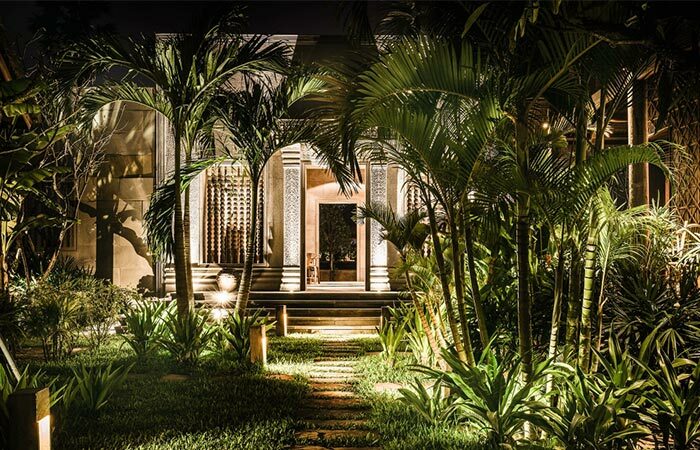 Guest can enjoy the greenery, fresh ingredients and spices, yoga, spa and pool pavilions. The interior of villas is equipped with local aged wood and stone, oriental carpets and a warm approach. There’s also a nearby market, a place where you can experience Cambodian culture and cuisine. The fact that it’s located 1,500 meters above sea level and only accessible by cable car makes Vigilius Mountain Resort very special. 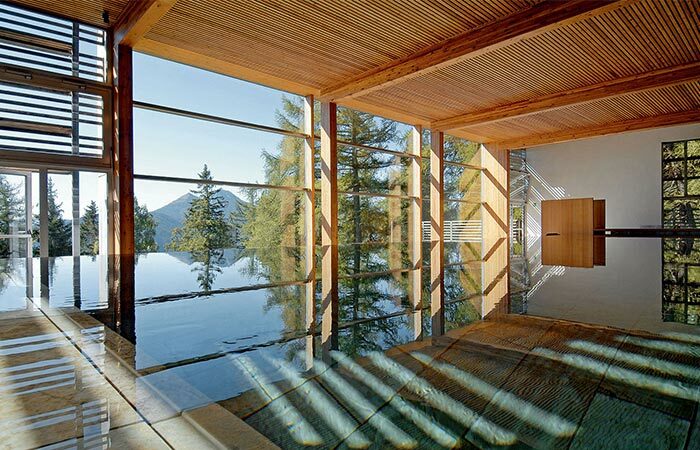 This eco mountain hideaway is a place of tranquility and inner peace. There are 41 rooms reserved for guests. They are decorated with wood, floor-to-ceiling windows, and generous balconies. The design features principles of “organic architecture.” The energy-saving philosophy is achieved thanks to hydroelectricity and a biomass power plant while the green roof together with clay walls help regulate the temperature inside. 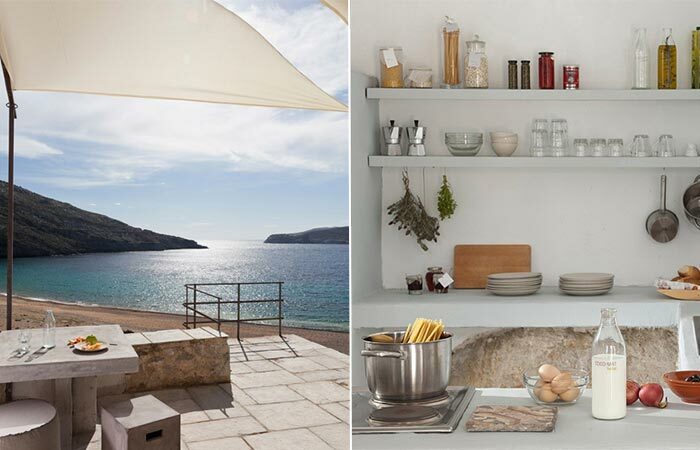 An old miners quarters were renovated into two-story apartments along the Aegean shores of Serifos, Greece. Coco-Mat Eco Residences Serifos is located right next to a beach and features an eco-friendly construction and a modern design. Each apartment is fully furnished and equipped with modern devices. The exterior was inspired by unique Cycladic architecture while the interior has earthy and natural tones. The climate ensures natural air-conditioning and the furniture is made from natural materials. The rooms are full of natural light and the complex is completely in harmony with its surroundings. Italian cuisine, concept stores, and bio-architectural principals are all reflected in C-Hotel & Spa. This minimalistic hills retreat has 18 “mini-loft” suites, all featuring soundproofing, floor and wall heating, and precise climate-control functions. 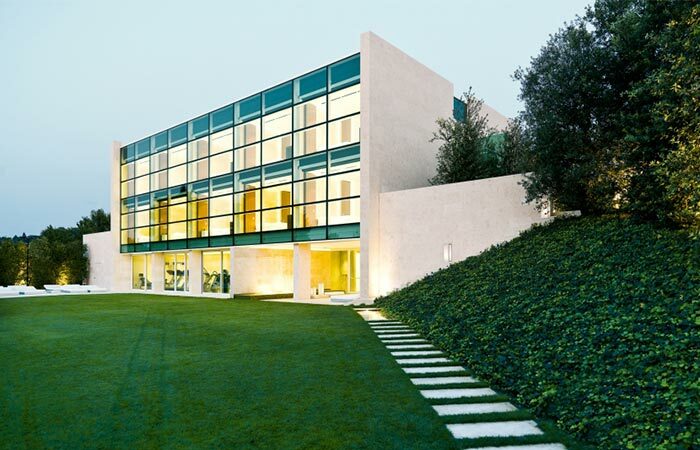 The minimalistic exterior makes it timeless while the interior lets in natural light through polished glass windows. The family ran hotel is proud of its organic products like jams, juices, coffees and chocolates as well as minimal impact building materials. The last hotel on the list is built on an old parking lot and located in downtown Manhattan. Guests can stay in 86 rooms and enjoy glamorous 360° views. The rooms are very spacious, bright and filled with custom-designed fabrics and original artwork. 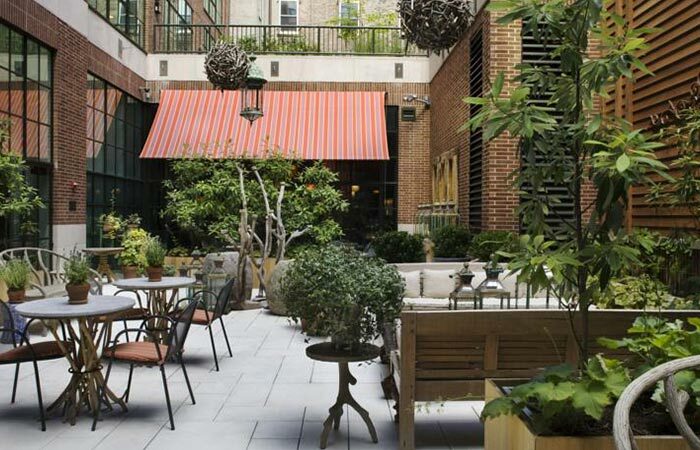 Probably the most interesting feature of the Crosby Street Hotel is a private garden terrace full of American native plants. The interior is modern and colorful, uses sustainable materials and energy-efficient technology. In fact, this hotel was voted as one of the most environmentally responsible hotels in the US.